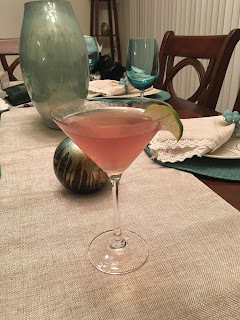 Today I want to share my favorite cocktail recipe with you, The Carnival Cosmo. What sets this cosmo apart from the others is that it is made with Limoncello and lime juice is not used. We love this cocktail so much that it was one of the signature cocktails at my bridal shower and at my best friend Keri's Martini party. 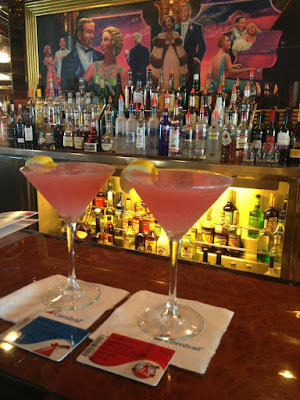 Before I share the recipe with you, I take you back in time to our girls cruise in January 2013. 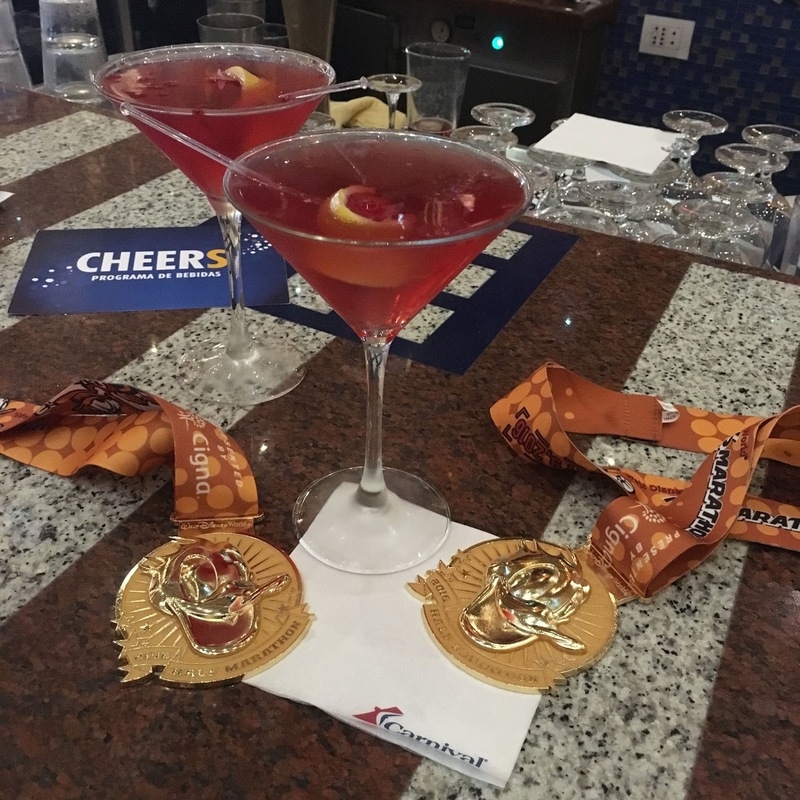 My best friend Keri and I had just finished the Walt Disney World Half Marathon the day prior and this started what would become our ritual, running a half or full marathon, followed by a girls cruise. 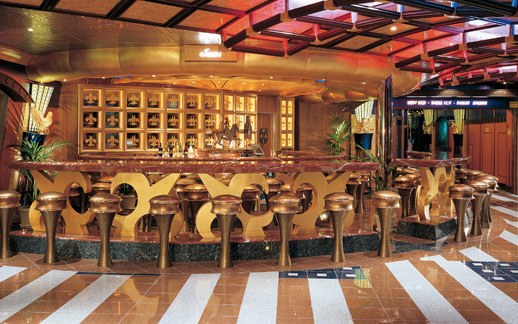 We were on a 5 night cruise on board the Carnival Ecstasy in 2013.We quickly located the martini bar and met a bartender named Kelvin. We instantly loved her energy and her Cosmo's were the greatest thing we have ever had. We visited Kelvin's bar multiple times throughout the 5 nights and would not stop unless she was there. Every cruise we have been on since, we look for Kelvin, knowing the chances of her being on the ship were slim. We even asked all the bartenders we met if they knew her. Although we've encountered many Carnival Cosmo's since that trip in 2013, none were ever as good as Kelvin's. On the first night our recent night Carnival Valor voyage, Keri and I were sitting at the martini bar (Jeanne's Wine Bar) and our bartender said "I am taking a quick break, let me introduce you ladies to Kelvin". I am quite certain we screamed. I know Kelvin probably didn't remember us from 2013 but she quickly made us her friends. She had no idea I was on board to write about my experiences and I kept it that way. Kelvin was truly the star of our trip. 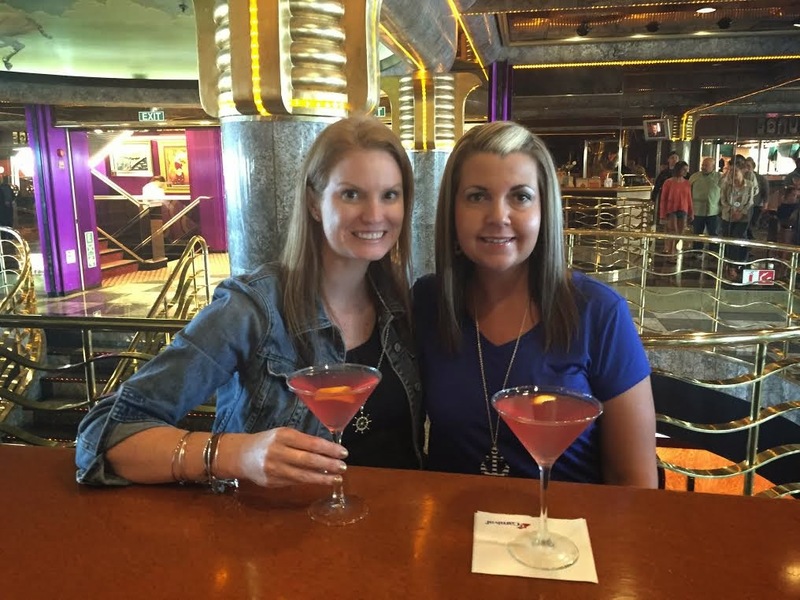 Three years later, she is still the best bartender and still makes the best Cosmo's. 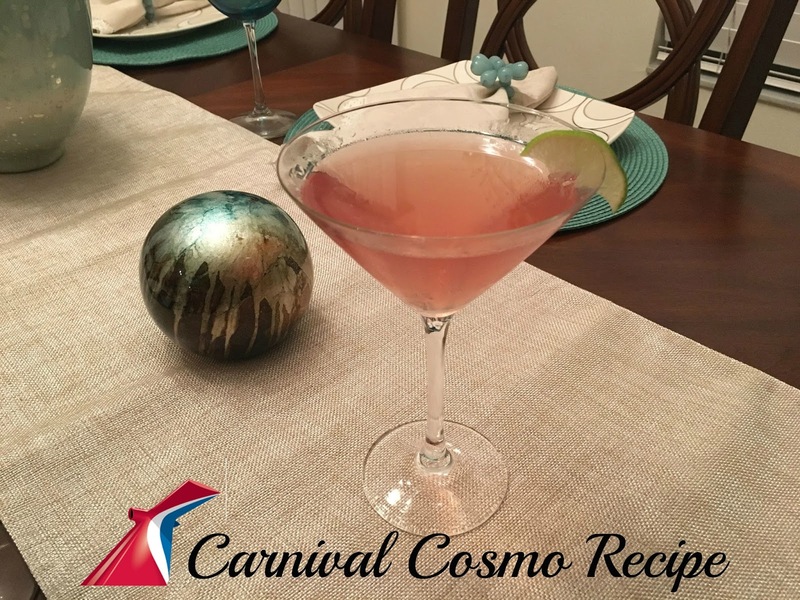 Today I am sharing the Carnival Cosmo recipe with you to make at home! Add all ingredients to a shaker full of ice. Shake vigorously for 30 seconds. Pour into a chilled martini glass.